Click the link above to find out more about this exciting event coming to Midland this September (19th-22nd)! A small group of Saginaw Bay Area birders has been working on recognizing Joe Soehnel for his efforts in promoting the interest of birders and birding in the Saginaw Bay Area. We were successful in obtaining approval from the Hampton Township Board of Bay County to rename a portion of the Hampton Nature Trail as the Joseph M. Soehnel Trail. That portion of the trail runs from the end of Knight Road to the end of Finn Road in Hampton Township/Essexville. Joe was instrumental in preserving this section as a Nature Trail and frequently birded the trail. 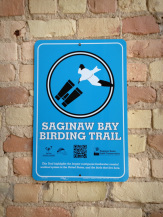 You may also have spent time birding on this trail as one of the prime birding spots in the Saginaw Bay Area. Many have personally birded with Joe and enjoyed his skills and knowledge of the local birds and habitats. As well, even more have followed his reports on the Saginaw Bay Birding website. As part of our agreement with the Township Board, we agreed to establish a fund to help with changes in signage (to appropriately mark the trail in Joe's recognition) and to help with future maintenance of signage. To help with the funding necessary to make and maintain these changes, we have worked with the Bay Area Community Foundation to establish and manage a fund which the Township will be able to use for these purposes. By using the Foundation for this endeavor, it will enable your contribution to be made on-line as a tax deductible donation. Bay Area Community Foundation 1000 Adams St.
Be sure to add Joe Soehnel Trail on your check. Joe was an excellent friend, a wonderful and thoughtful person and an exceptional birdwatcher. Please be generous in helping us with a permanent memorial to Joe Soehnel. Thank you for your consideration. We fondly remember Joe Soehnel who tirelessly and joyfully promoted and educated the birding community about the birds of the Saginaw Bay region through efforts such as this website among many others. Joseph Michael Soehnel, 64, of Essexville, our positive, selfless, caring, easy-going, and most generous husband, father, brother, uncle, and friend went home to be with the Lord on the morning of Saturday, April 21, 2018 at University of Michigan – Ann Arbor. Joe was born in Gladwin on October 16, 1953, the son of the late Joseph Willard and Elizabeth (Slabic) Soehnel. Little did Joe know, while working in the I.T. department at the Department of Human Services, where he spent 35 years, he would meet his wife, Barbara Handy. After their second date, Joe knew he was destined to marry Barb. They were united in marriage on February 10, 1978, exactly five months from the day of their first date. Their forty years were blessed with two children and countless memories. Always one to stick to the positive side and see the glass half full, Joe will forever be remembered for his fun and adventurous personality. In his younger years, Joe enjoyed running, especially in the St. Patrick’s Day race, swimming laps, and keeping meticulous records of those laps. He was devoted to birding and maintained the Saginaw Bay Area Birding and Birding Trail website and was a former volunteer for the U.S. Fish & Wildlife Services at the Shiawassee National Wildlife Refuge. Joe leaves to cherish his memory, his loving wife and soulmate, Barbara Handy and their two children, Grant Handy Soehnel and his wife, Melissa and Reed Handy Soehnel. Also surviving are his siblings, Patricia Soehnel, Anthony (Karen) Soehnel, June Soehnel, Marie (Larry) Klamer, Anna (Bill) Harper, along with many in-laws, nieces, nephews, and many friends. In addition to his parents, Joe was welcomed home to heaven by his infant son, Aaron Handy Soehnel and siblings, Theresa Kozak, Francis Soehnel, and Chester Soehnel. The Saginaw Bay Area (SBA) is comprised of seven counties surrounding and near to the Saginaw Bay: Iosco; Arenac; Bay; Midland; Saginaw; Tuscola, and Huron. 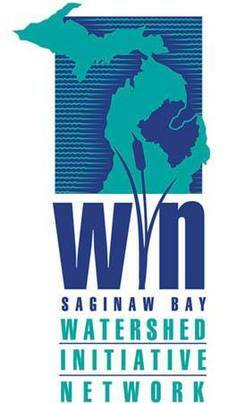 The Saginaw Bay watershed is the largest contiguous freshwater coastal wetland system in the United States. 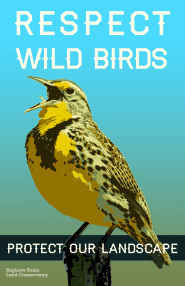 This is a critical migratory stopover for over 250 bird species of which over 200 species remain to establish nesting territories in this habitat rich and diverse region. We hope that you'll continue to utilize this valuable natural resource right in our midst. If you've never visited, take the time to experience the Saginaw Bay Area's nature/birding opportunities via this website and the newly established Saginaw Bay Birding Trail! Look for the blue signs!